Yesterday I was in “downtown” Tel Aviv in the evening for a memorial service for Alan Weinkrantz. He was one of the most helpful people I’ve ever come across and started almost every conversation with “how can I help”. He was tragically killed when a person suffered a heart attack while driving and crashed into people eating outside. Alan was among the three killed. I only mention this because to put the following in context. 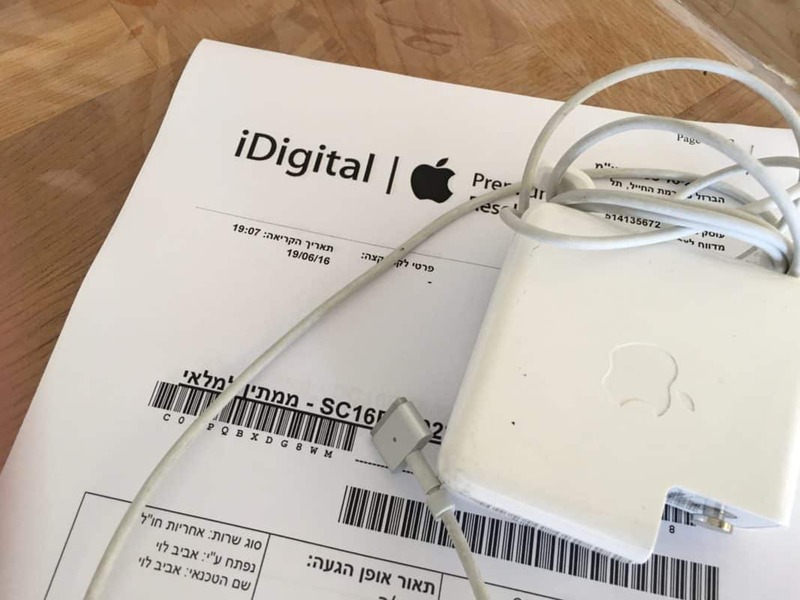 I’m complaining (yet again) about the poor state of service for Apple computers in Israel to help others: I want this fixed because it’s something that will make Israel better for many people. It’s a simple thing, the power supply for my main computer stopped working last week. I left the computer in my air conditioned office to go get some lunch and when I came back the machine was running on battery. The power brick was dead, I tried different wires, resetting the “SMC” (Apple Fanboys know what that is) and various other tricks. When I got home and plugged my computer in to my other power supply the light came on so I knew it wasn’t the computer. The computer is just over a year old but I have 3 years Applecare warranty. In America or the UK I know, without a shadow of a doubt, I’d walk into an Apple Store (with an appointment) wait a few minutes and walk out with a new power supply. I just had a feeling it wouldn’t be so easy in Israel. And then the best bit. They didn’t have a spare power supply for an Apple Macbook computer in the store. I hadn’t even dreamt that could happen. It will take FIVE WORKING DAYS to get a new one. They won’t allow me to pick it up from the store closer to my home. They won’t ship it to me. I’ll have to drive back to the world’s most confusing shopping centre and hope I manage not to get lost again. It’s fortunate that I do have a spare (because I have a few generations of Apple product at home) otherwise I’d be out of luck for a week. 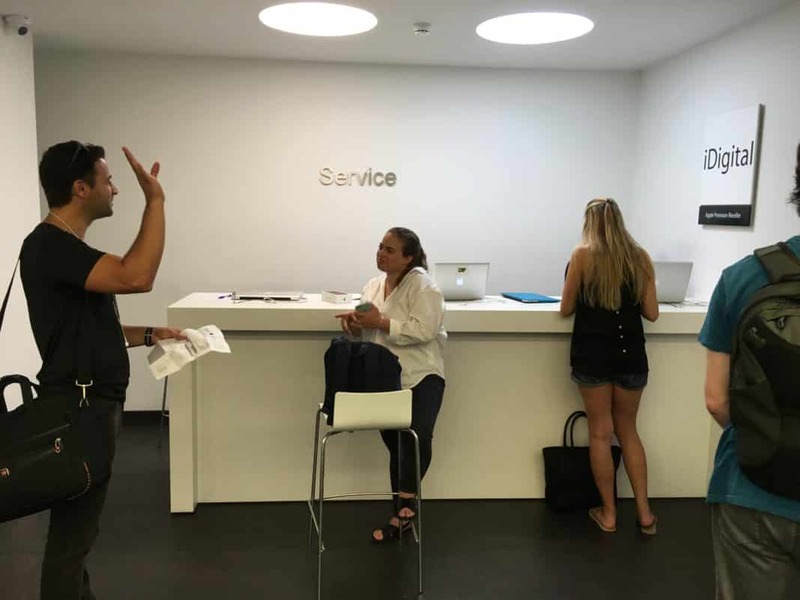 If I was a tourist on holiday in Israel I could forget about getting service here. If something breaks you’re on your own. As I’ve said before Apple doesn’t run its own retail stores in Israel. This despite Israel being fundamental to it’s research and development arms through the purchase of Anobit, Primesense and other small companies. In fact Apple only do research in the USA and Israel. It’s time to end this ridiculous travesty. Either Apple needs to spank iDigital into ploughing back a greater share of the profits it makes by charging OUTRAGEOUS prices. VAT in Israel (kind of sales tax) is 17% I’ll be extra charitable to iDigital, if you bought a computer in New York you’d pay around 8% sales tax too, so I’ll add that. And I’m pretty sure Apple in New York are making a very nice profit on each one. 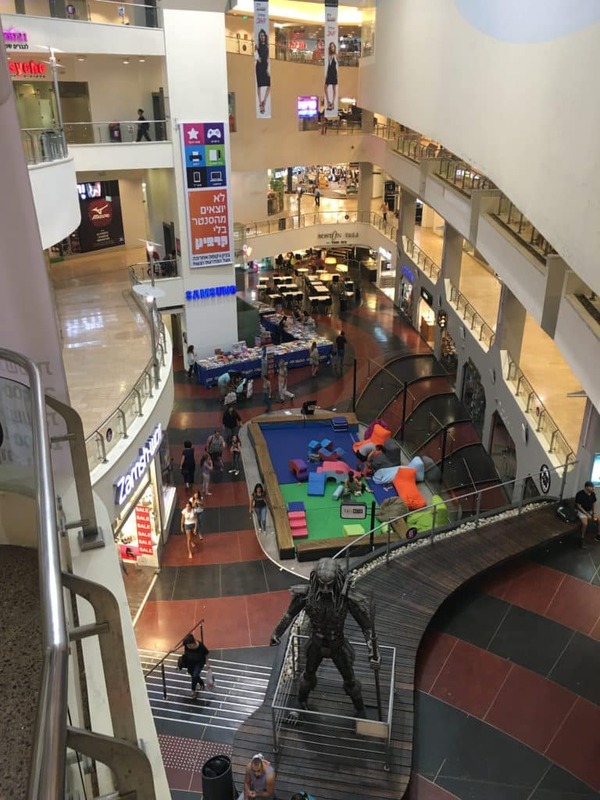 There’s no import duty on computers in Israel, just VAT for consumers. The UK price (which includes an eye watering 20% VAT) is £1,999 which is ₪11,204. The pound has been weakening in advance of the Brexit vote. Both of which make the iDigital Israeli sticker price of ₪14,079 particularly galling. That’s $450 more than NYC or $750 more than London after including all sales taxes. 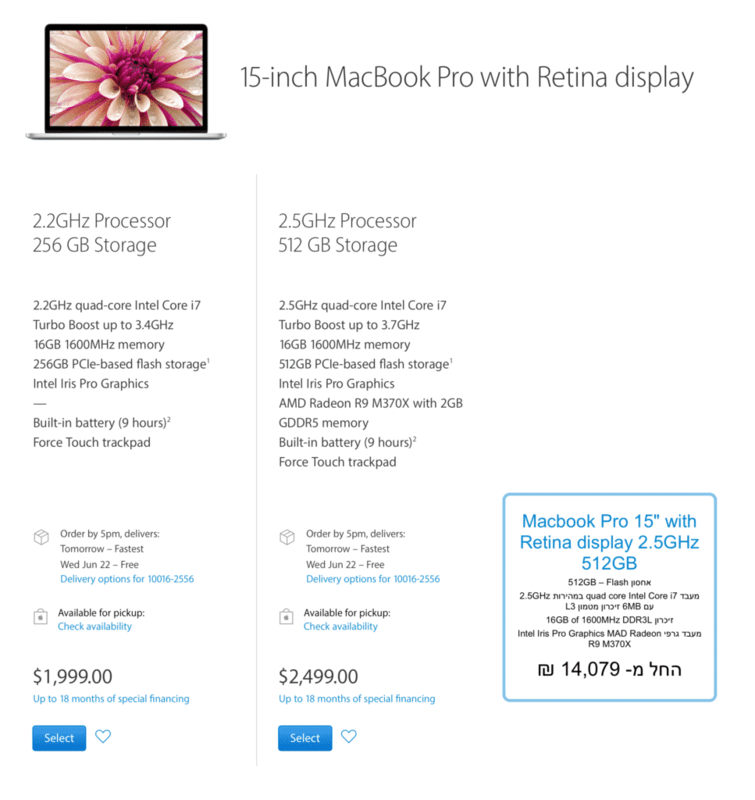 Its no exaggeration to say you can almost have a free trip abroad to buy a single Apple MacBook Pro. So you’d think for that premium price they could also provide decent service. But they can’t or choose not to. Apple, this reflects very badly on you. If you’ve had to deal with Apple issues in Israel, please comment. I’d love to hear your stories too. Here’s the tweet stream I put out while waiting.